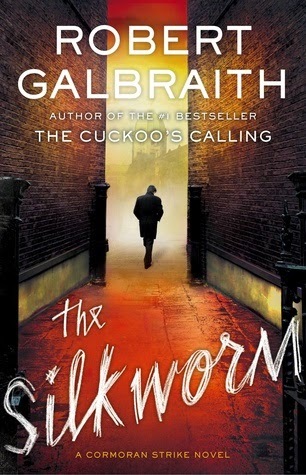 The Silkworm by Robert Galbraith (pseudonym of J.K. Rowling) is the second in a mystery/suspense thriller series featuring Cormoran Strike, an young English military veteran turned private eye after a significant wartime injury resulted in the loss of one of his legs, and Robin Ellacott, Strike's secretary, assistant, and detective-in-training. The plot of the book picks up not very long after the conclusion of the first novel in the series (The Cuckoo's Calling), with Strike's private investigative services seeing a rise in business following his minor celebrity status due to his successful resolution of the Lula Landry case (the main plot of The Cuckoo's Calling). Strike is hired by the wife of a formerly prominent author with the job of finding said formerly prominent author who has gone missing. The novel follows Strike's investigation into the disappearance of Owen Quine, and as a result gets drawn into the cutthroat (sometimes literally) world of the publishing industry--and what starts out as a simple missing person investigation becomes a complex and dark race to uncover the identity of a murderer, blackmailer, and literary forger before they ruin the lives of Quine's family, and end the lives of Strike and Robin. Having grown up during the boom of Harry Potter popularity, and having centered a great deal of my life around awaiting the publication of each Harry Potter novel, it is very very difficult to not compare everything else that Rowling will ever write to her original series. Indeed this is what happened with A Casual Vacancy; her first publication following the conclusion of the Harry Potter series. Each review I read of that book seemed to contain some variation on the phrase "not like Harry Potter." But I feel that comparing everything that Rowling writes to Harry Potter is a surefire way to ensure that nothing will ever succeed. Which is why her decision to publish this series under a pseudonym makes sense. The Silkworm surprised me by catching my attention moreso than its predecessor The Cuckoo's Calling did. While I did like The Cuckoo's Calling, I was so focused on learning about the characters and remembering which name coincided with which description and set of character traits, that I was less focused on the plot of the story and ended up missing significant plot events--and thus would then be confused when the next significant plot event hinged on the plot event that I had missed. This issue was solved when I went back and re-read the book a second time, and I loved it. But in The Silkworm, I ended up not having this problem at all. The characters came off as more developed, and I was more interested in the case being investigated. I attribute this to the fact that there was less time spent establishing the main characters as main characters (i.e. less time spent blocking out their back-stories separate from the plot of the story) and more time spent developing their characters as a part of the story itself. This meant that I found myself sinking more of my emotions and commitment into the story, and less time deciding if I liked the characters. I think that where The Silkworm succeeds as a mystery/suspense thriller story, is that the setting of the story is laid out to be intensely realistic and able to be imagined by the reader to give a sense of inclusion to the story. Too often I will read suspense thrillers and mysteries and feel disconnected from the story because I can't well picture what or where things happen in the story. With this series, the setting is vivid and the detail given to the actions of the characters makes for an almost tangible sense of anxiety with the rise in tension. This is what allows for the necessary feeling of catharsis that comes from the emotional connection with the characters within a story--that feeling of having undergone great stress and trial, without having to actually undergo the actions themselves. Which is what I primarily look for when seeking out new reading material. The Silkworm is the second book in the Cormoran Strike series, and is the third book written by Rowling post-Harry Potter to be geared towards an audience of adults. 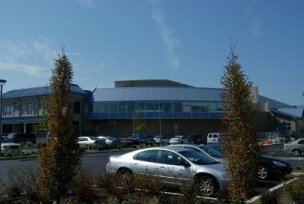 You can find it, and many of Rowling/Galbraith's other books at the Ocean City Free Public Library.